I like how you made clicking for ammo a part of the tower defense game - makes it quite intense and involved (although it can get a little tiring - maybe a tower to automatically restock would be cool?). Music fits well too. How the game worked was initially confusing but I worked it out. Not very meta, but a fun game (my score was 2388)! Thanks for playing :) I have auto-ammo-gen tower, but its pretty OP, so it's unlocked near the end of the game. I loved this game a lot! It was a great way to mashup the two genres! I think I would have like a bigger button and sometimes the upgrades were hard to purchase! The guys that destroyed the towers were perhaps the best part! Really made me think about what I was doing. I think the fact that you had no time to think or react added a lot to this. 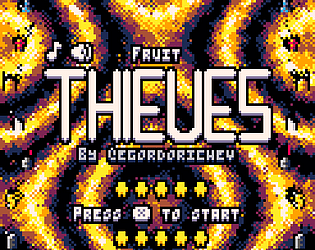 That was a very fun tower defense in Pico8! Very cute sprites and groovy chiptunes! I managed to cheese my way through it though by not killing the slow moving enemies through exhausting ammo, and mass building money making towers in the meantime. I guess it mixes clickers with tower defense? Doesn't seem too meta to me, but what was there was polished and well done! 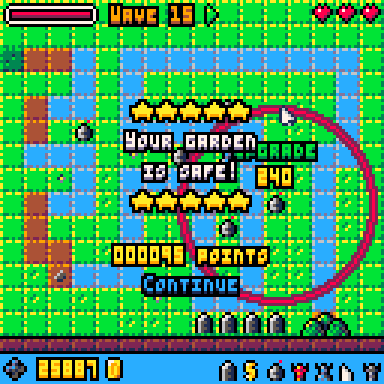 Note that placing towers near the top of the screen obscures the upgrade menu. 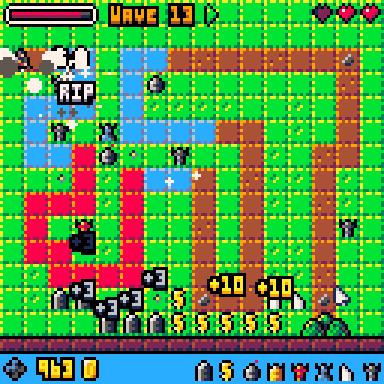 Very neatly polish tower defence game with a nice little bonus of having to constantly resupply your towers with ammo. I do have to be a little harsh though because this fell into a lot of the traps that I feel really restricts tower defence games, the tower choices felt arbitrary, the enemies barely made it past the first corner but if they did it would have been an instant loss, the clicking mechanic while interesting at first quickly became mindless spamming and didn't end up adding anything to the gameplay. Also I'm not really seeing much of the meta theme in the game at all. It's on the verge of being a great, tower defence genre breaking game. 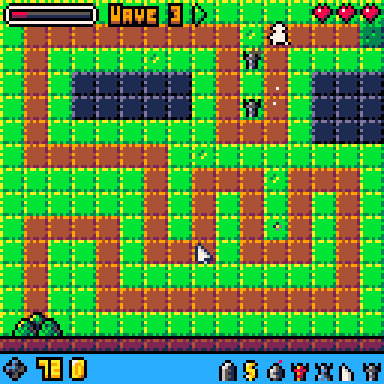 The balancing was very smooth though and it had really nice sprites and music. Huge fan of tower defense games, and the wave difficulty / progression went really smooth! The clicking to reload ammo was a really nice touch but I found myself just spam clicking it.